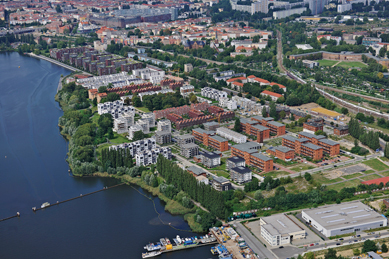 If you saw it today, you really wouldn't believe it, but this now idyllic residential area in the East of Berlin used to be a place of repression and persecution. 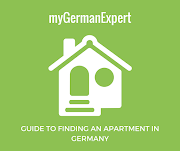 Like so many places in Germany, it really leaves the spectator unsuspicious to its past. It draws people in, because of its beauty and serenity. Only when you stop and look behind the new façade do you realize its historic enormity. 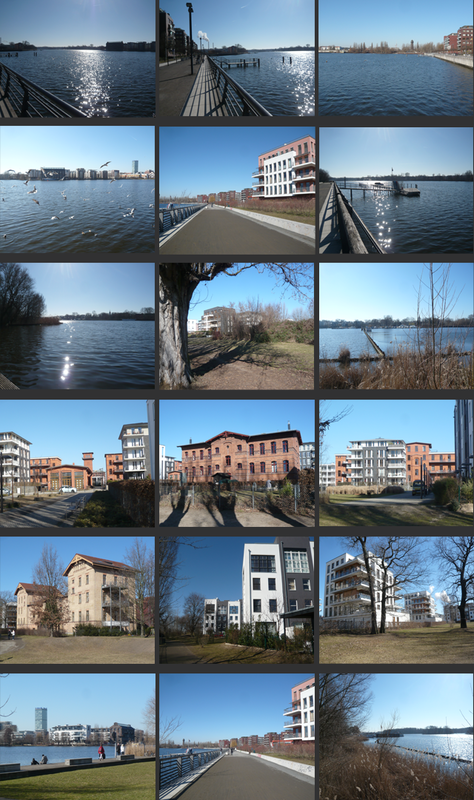 This original complex in the Rummelsburger Bucht consisted of 19 plain brick buildings, of which 15 survived. The people interned had generally lived on the margins of society. They were homeless, beggars, tramps, prostitutes, the “work shy”, old and infirm people of disreputable characters, or men and women arrested for minor offenses. They were in the workhouse to be adjusted to societal norms through “work and corrective measures”. 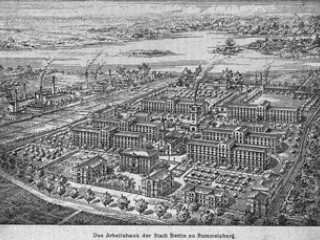 Opened in 1879 the institution was designed to hold 1.000 inmates, but was already overcrowded by 1887 with over 1.600 men and women registered there. Only during the Weimar Republic were conditions eased by reforms, that lowered the concentration of inmates. The assumption of power by the Nazis in 1933 brought an abrupt end to the reforms and signaled a turn for the worst for the homeless, and people stigmatized as “asocial” and “psychologically disturbed”. The period of stay in the workhouse was extended considerably and inmates able to work were forced into labour. New “Special Departments” were established for homosexual and Jewish inmates and compulsory sterilisation under the “Erbgesundheitsgesetz” (Law for the Prevention of Genetically Diseased Offspring) was regularly performed. Remember, that the whole complex was only designed for 1.000 people? In 1940 it held almost 2.000. In line with the Euthanasia campaign of the Nazis, documents were drawn up in late 1941 to prepare inmates for extermination. 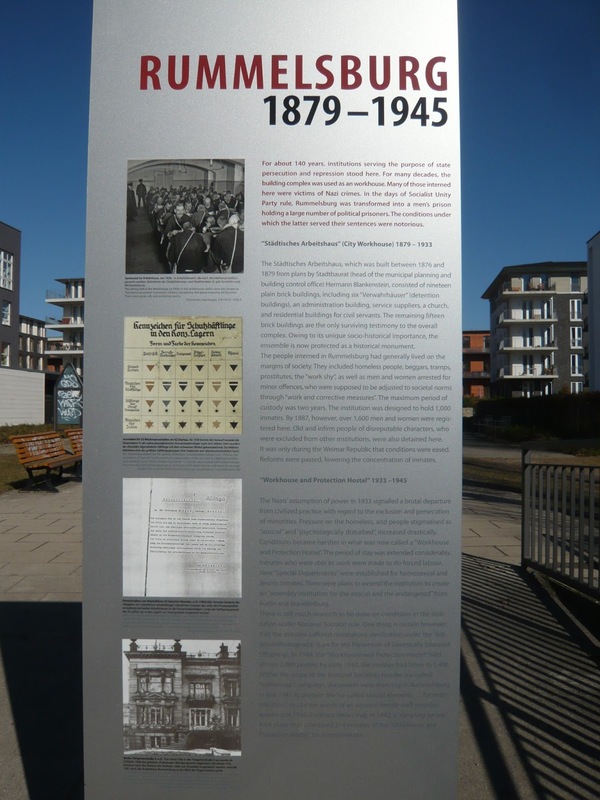 Evidence shows that, in 1942, a “sampling survey” took place that scheduled 314 inmates of the “Workhouse and Protection Hostel” for extermination. The institution continued operating even after the end of WWII with about 280 remaining inmates. Refugees were also accommodated here for a while. Then, from 1949 to early 1951, the Magistrate of (East) Berlin ran approved schools for young people, as well as a youth detention centre. 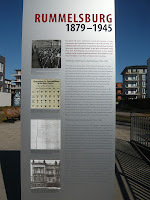 After the German Democratic Republic was founded, the Minister of the Interior took over the site and began transforming it into penal institutions: “Penal Institution Berlin I” and “Pre-trial Detention Centre I”. Most of the inmates during this time came from the German Democratic Republic, but some were West Germans or detainees from other states. Political imprisonment did not officially exist, but many fell into the wheels of the law for political reasons and received heavy punishments. Conditions at the detention centre were worse than ever. The number of inmates had now risen to 2.500, even though the complex only provided 900 jail spaces. “Political” and “criminal” prisoners were mixed indiscriminately. The daily routine was governed by despotism, military drill and a sophisticated penal system. 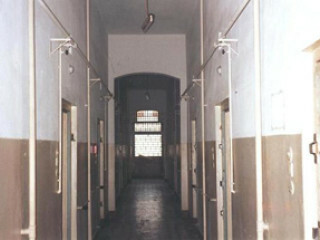 Prisoners had to endure inadequate hygiene and care. All this was designed to suppress any political behaviour that deviated from the norm. Furthermore, prisoners were employed as cheap labour for monotonous, physically hard, or health threatening work. At the end of October 1990, Rummelsburg Prison was finally closed and remained unused for years. In 2007, it was converted into a residential complex. How the place has changed. Now parents with their children and pet dogs, people on a leisurely stroll, joggers, bird feeders and anglers set the tone of the area. It has become the perfect place to bring up a family in the middle of the city and to enjoy a bit of the outdoors away from the strain of the big city life. The old red-brick buildings that survived from the first institution have now been turned into flats and are inconspicuously strewn in-between modern new-builds. This makes it even more important to pause and take in the history of the place. It only makes you enjoy the transformation, and what it stands for today, even more. Source: Hauptstadtportal and Interessengemeinschaft "Eigentümer in der Rummelsburger Bucht"